(Yes, the title is from a She & Him song.) I moved to a new apartment about 3 months ago and let me tell you something... I am still not done decorating it! As you can see, the wall behind the couch is bare (waiting to get my oil painting from my parents' house to put there), but I just want to share with you this gorgeous vintage crochet blanket I got last week. I love how the yellow roses compliment my tiffany blue pillows. 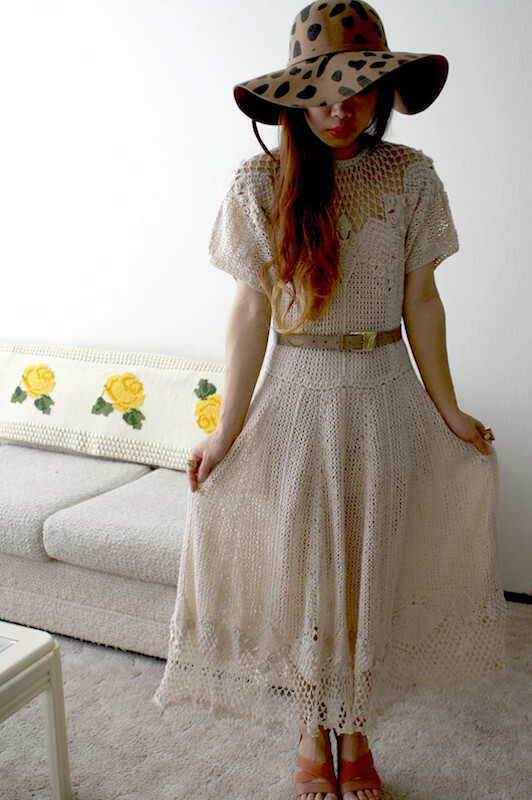 I wanted to keep everything else more neutral so I wore this beautifully crocheted vintage knit dress. This is one of those dresses that you don't wear often in fear of ruining it because of how delicate it is. 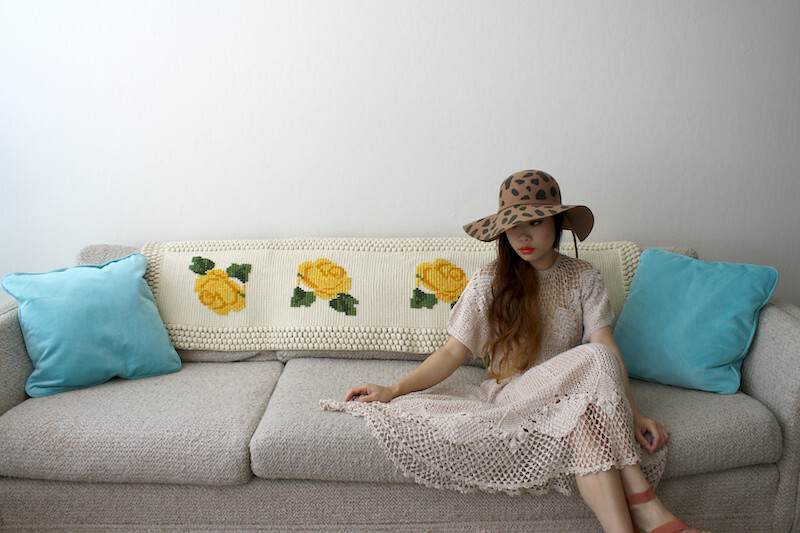 Vintage crochet dress from ebay. 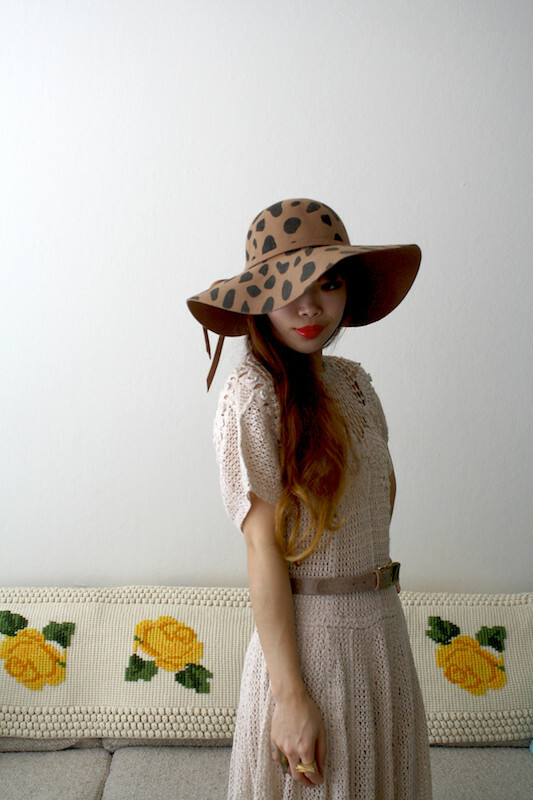 Vintage wool floppy hat from Alameda Flea Market. Chunky strappy shoes from Hong Kong.Rings from f21, and from my work Sway. All these pictures are beautiful. I adore your dress and hat especially. thanks ami! come visit santa cruz! Love the shoes and dress. You're looking fab Toshiko!